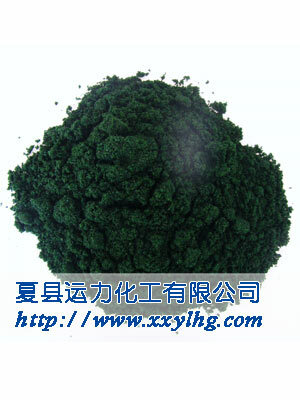 Physicochemical Properties: dark green crystal. specific weight:1.835, easily dissolves in water, ethanol, not dissolved in ether. exhibits hygroscopic property. Applications and Usages: Preparation of other inorganic or organic chromium, catalysts , dye mordant polymerization adhesive and use for chromium plating. 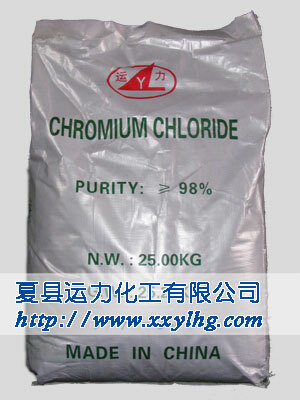 Basic chromium chloride is often used as adhesivem tannage,waterproof agent . Packag: 25Kg/bag, plastic inside and knitting bag outside, or in terms of customer's requirements.